We’re about two weeks away from Mobile World Congress (MWC) 2019 and it is finally becoming clear what we can expect at the world’s largest mobile exhibition. Nubia’s has released its invite for its event at MWC, which hints that it could also show off its version of a foldable or flexible smartphone at the expo. The company hasn’t shared a fixed date of launch, rather it is likely to show off the new tech on the showfloor. A little more than a week ago, Huawei released their MWC 2019 invite, which clearly shows the sides of a smartphone with a curve in the middle, hinting that it will announce a foldable phone. Nubia’s invite doesn’t give us an idea of how its smartphone will look but the line “Flex your life” strongly hints that it will be unveiling a flexible phone. At IFA 2018, Nubia showed off a prototype of the Alpha — a smartphone with a flexible display strip that sits on your wrist like a smartwatch. The device was on display at Nubia’s booth but it wasn’t a functional model as it was still in an early testing phase. There is a good chance that Nubia might unveil a more refined version of the Alpha at MWC 2019, or it could very well be a completely different device all-together. There haven’t been any leaks about Nubia’s flexible phone endeavours, other than the Alpha prototype that was shown off at IFA. 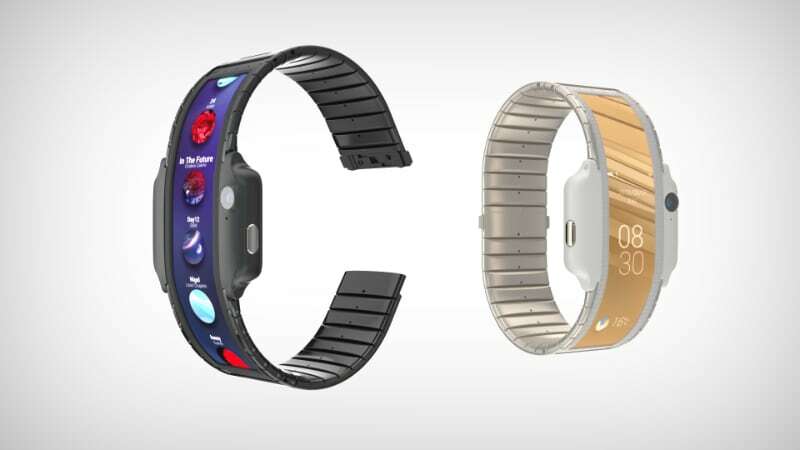 This device makes use of Flex, which is Nubia’s proprietary flexible technology, and features a light strip that gives users the ability to customise it using themes. The wearable phone is said to come with a specially tuned proximity sensor that determines the orientation of the wearable smartphone. The company was also touting 4G connectivity and a smart camera with one-touch modes. It’s still hard to gauge what Nubia will eventually launch as the invite doesn’t really gives us much to go on. The good news is that we won’t have to wait for too long to find out.